The weather is finally breaking! We have more days with sunshine, than those without. You know what that means? #SummerTimeChi is right around the corner. Regardless of what anyone says about Chicago, it’s beauty especially in the summer is simply unmatched. My personal favorite things to do in Chicago for the summer include rooftop bars, day parties, and any thing else that let’s me soak up the sun and enjoy what the city has to offer. Below are some cool things you, friends, and family, can do anytime throughout the season, that are mostly absolutely…FREE! So get out there, be safe, and enjoy! 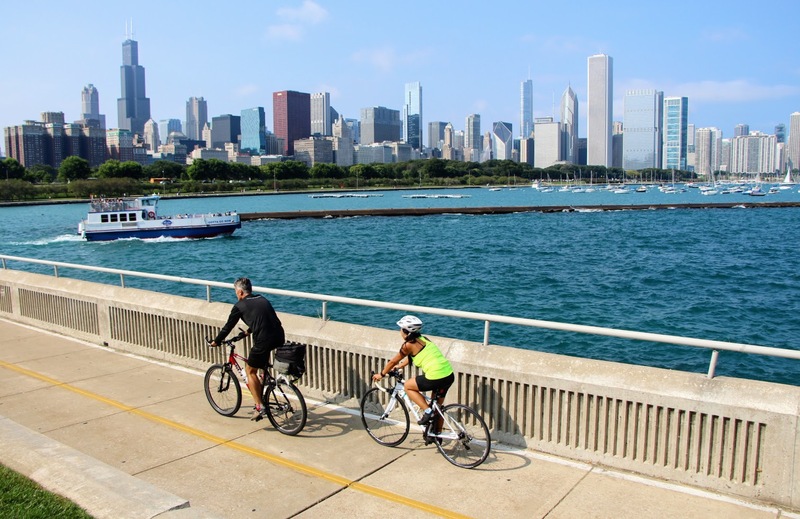 Take a run, bike, roller blade, or stroll along the lakefront. You can even stop have a sit and have a picnic and enjoy the breeze and sunshine! Go dancing in Millenium Park! There will be live music, bands, djs, and various genres of music! Maggie Daley Park is filled with greenery, and beautiful scenery. Flowers, plants, and trees line the walking path. 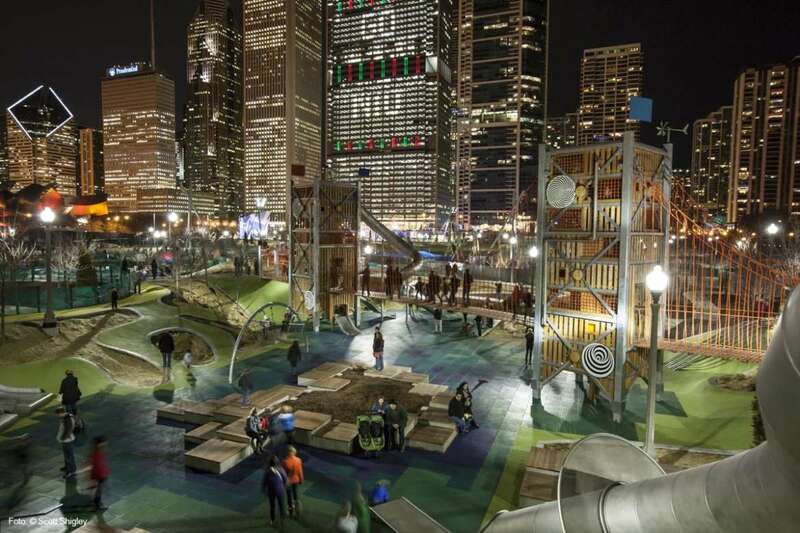 There is a huge playground, and even wall climbing and concessions within the path! 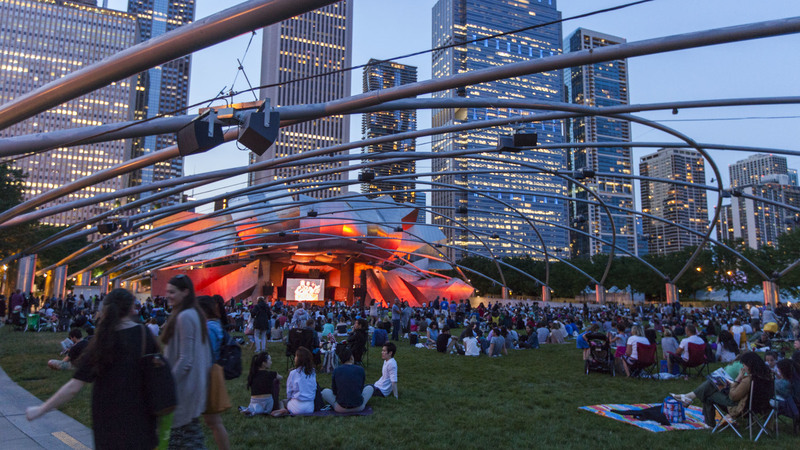 Check out movies such as Get Out, Hairspray, and many more in Millennium Park. Make sure to bring your blanket and snacks as you kick back and enjoy the show. Catch a load of free concert in the park! There will be jazz, rock, blues reggae, and more. Make sure to get there early to get a good spot. Bring and chair and or a blanket! For more info on things happening around town, check out https://www.choosechicago.com/events-and-shows/festivals-guide/ and https://www.cityofchicago.org/city/en/depts/dca/supp_info/festival_events_dates.html and especially, http://www.chicagotribune.com/redeye/ct-redeye-chicago-summer-festivals-guide-2018-htmlstory.html. Happy Summer! Tags: adults, chicago, events, festivals, free, kids, movies, music, places to go in chicago, summer time chi, sunshine, to do. Bookmark the permalink. There is always something to do here in the summer time. I plan on visiting plenty of the festivals they hold downtown and in other areas of the city. Hope you’re fairing well in today’s rain! Yes!!! And you to stay dry! !